I’m so, so pleased. Yet, I am humbled too. 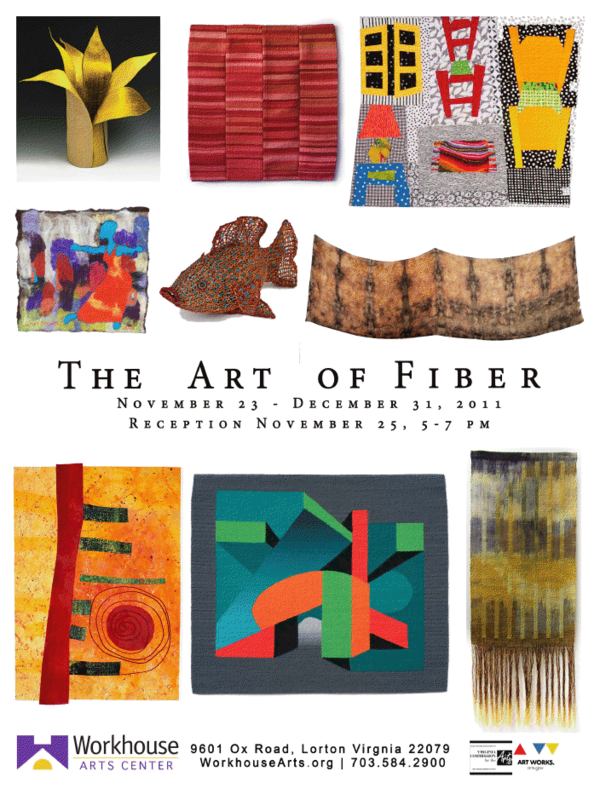 My Ryukyu Ai (indigo) dyed silk shawl was included on “The Art of Fiber” exhibit poster. 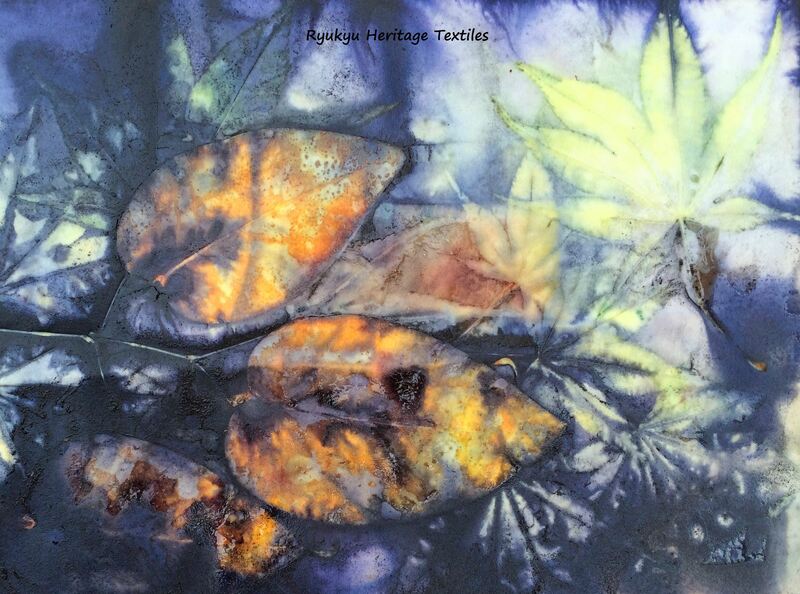 My shawl was created utilizing an ancient method of fermenting indigo leaves common to Okinawa. I grow the Ryukyu Ai (indigo) in my studio dye garden. I see that my silk shawl is in good company. It’s located next to a wonderfully sculpted fiber fish. What better place to be?